Hendrik Jacobus van Tulder, also known as Henri van Tulder or Henri Jacques van Tulder was born in Tilburg on the 1st of May 1819. In the 1840's he probably studied at the Royal School of Arts in Antwerpen, Belgium. From 1844 until 1846, either before or after his study, he worked in Brussel for architect Jean-Pierre Cluysenaar. In 1848 Van Tulder returned to Tilburg and started his own office. One of his first assignments was for the new town hall In his home town. 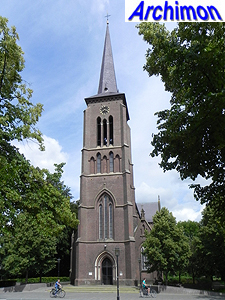 Tilburg is also where in 1850 he built his first church and developed an entire neighbourhood. Although his early works, including his first few churches, were in neo-Classical style, Van Tulder is remembered as a pioneer of neo-Gothic. 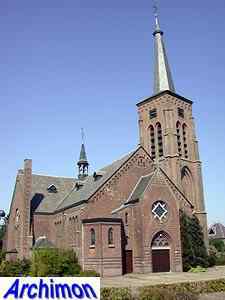 He made his first use of this style in 1853, when he enlarged the church in Gemert and added a tower. Three years later he built his first complete neo-Gothic church. 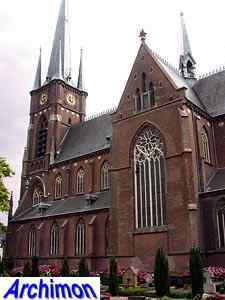 While these are both closely related to early neo-Gothic, most of Van Tulder's churches are in a more rationalist neo-Gothic style, although elements such as plaster vaults and ornaments were often used. A point of criticism, both during and after his life, concerned his facades which rarely indicate what's behind them. He built a total of 26 churches. In 1889 Van Tulder moved to Laken near Brussel. 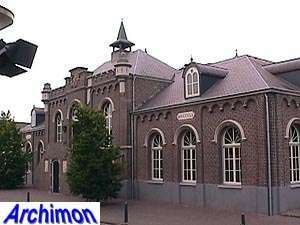 Only one further work is known, a villa in Overboelare built in 1893. 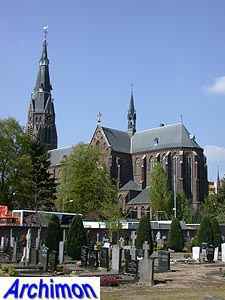 Van Tulder died in Schaarbeek on November the 25th 1903. The following is a list of Van Tulder's buildings, concentrating on his churches and highlights from his other work. Building in neo-Classical style. Demolished in 1971. Church in neo-Classical style. Projected tower not build. Church demolished in 1923. Extension of the nave and addition of a richly ornamented neo-Gothic tower. 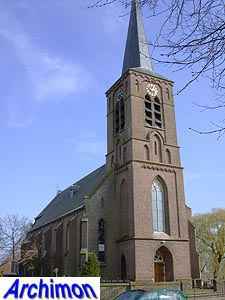 Church in neo-Classical style, incorporating a 15th-century tower. Church demolished in 1889. Church in neo-Classical style. Destroyed by fire in 1911. 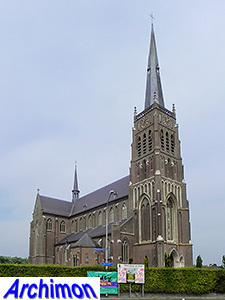 Basilica in early neo-Gothic style, Van Tulder's first complete church in this style. Tower added to an older chapel. 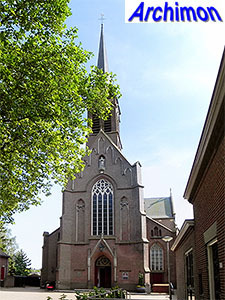 in 1910 incorporated in Jan Stuyt's new church, but in altered form. Van Tulder's first big church. Three-aisled cruciform basilica in neo-Gothic style with tall tower. Neo-Gothic tower for a neo-Classical church built in 1822. Church replaced later. 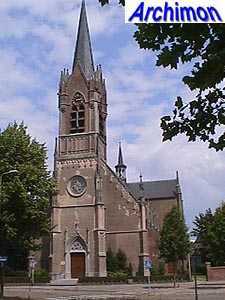 Three-aisled church in early neo-Gothic style. Demolished in 1956. 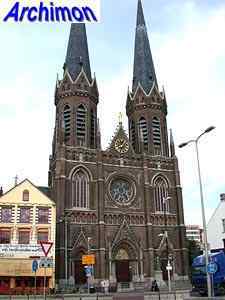 One-aisled neo-Gothic church. 15th-century tower was incorporated and heightened with a fourth segment. Big three-aisled cruciform church in neo-Gothic style, with tower. Plaster vaults. Three-aisled cruciform church in neo-Gothic style. The slim tower was added in 1897-1899. 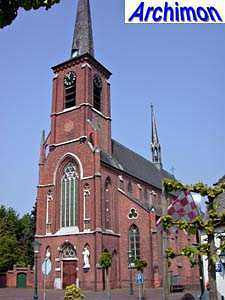 Large triple-aisled cruciform church in Neo-Gothic style. 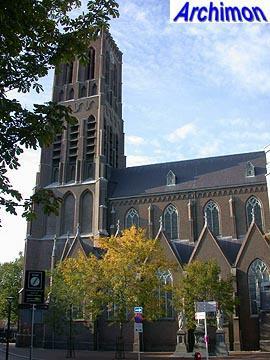 Tower added in 1925 by W. van Aalst, who slightly changed Van Tulder's design. Three-aisled church in neo-Gothic style. Three-aisled basilican church in neo-Gothic style. Three-aisled cruciform church in neo-Gothic style with two towers at the front. 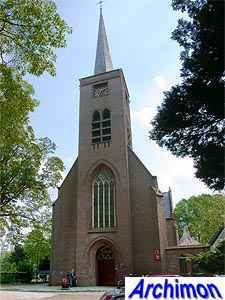 Often regarded Van Tulder's best church. Three-aisled cruciform basilican church in neo-Gothic style. The uncompleted ower collapsed in 1875. New tower designed by L.J.P. Kooken built in 1912. Three-aisled cruciform basilican church in neo-Gothic style, with richly ornamented tower. Destroyed in 1944. Renewal in neo-Gothic style. Included the addition of towers and turrets. Three-aisled cruciform church church in neo-Gothic style , with built-in tower. Demolished in 1954. Small three-aisled cruciform church in neo-Gothic style, with slim built-in tower. Three-aisled cruciform basilica in neo-Gothic style with front tower. Small one-aisled church in neo-Gothic style. Enlarged by J. Stuyt in 1932. Three-aisled cruciform church in neo-Gothic style. Octagonal crossing. Van Tulder designed a tower that wasn't built. The current tower was designed by Van Tulder's former assistent J. van Gils and was built in 1910-1911. Originally a straight three-aisled basilica in neo-Gothic style. Transept added in 1919.